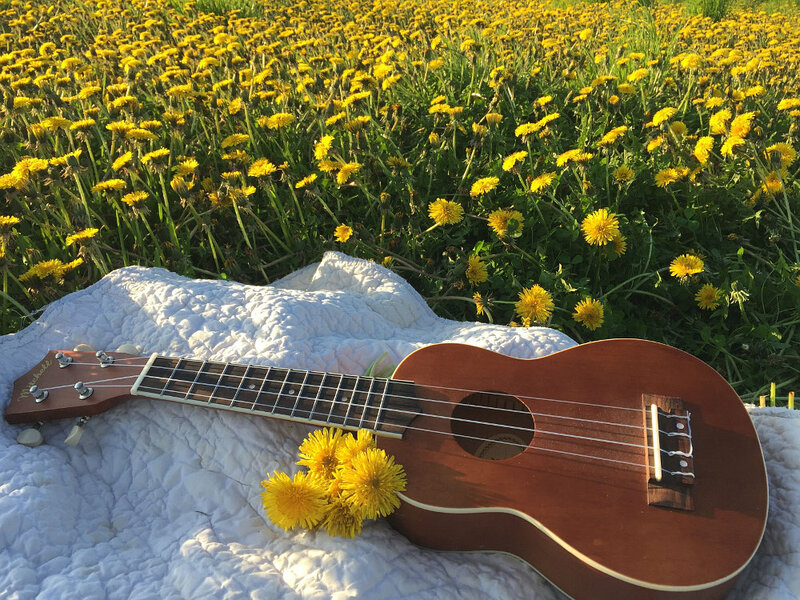 Do you enjoy making music, playing ukulele? 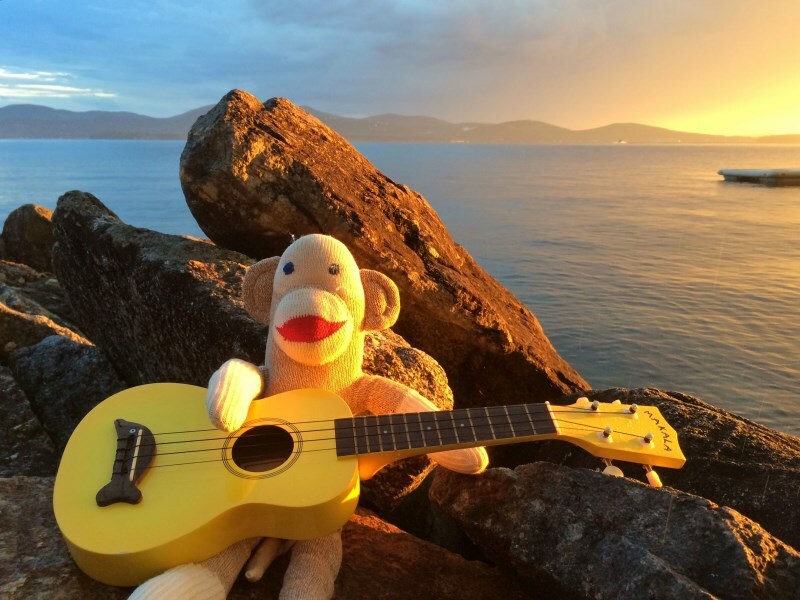 The Kingston Ukulele Society is starting a new season of music making, twice a month, on the 2nd and 4th Wednesdays of the month, 7pm at the Collins Bay Legion, 4034 Bath Rd. The next jam is this Wednesday, September 12. Everyone is welcome, beginners and more experienced players. Bring your ukulele. If you like, bring copies of your favorite songs to share with the group. But if you want to sit back and strum along, that’s fine too. If you’d like to practice songs in advance, you can find some of our songs at my DropBox folder. Send me an e-mail to hans@boldts.net and I’ll give you access to the folder. Remember, we jam at the Collins Bay Legion, 4034 Bath Road, on the 2nd and 4th Wednesdays of the month (excluding holidays). 7pm. Look for us in the basement. If you haven’t yet printed off your own copy of our favorites document, you can download it here. There’s no cost to the jam, but do show your appreciation to our hosts by visiting the bar, or at least dropping a buck or two in the tip jar. Click here for more details. Finally, the weather is cooperating with us! We got rained out in June, but this Wednesday looks perfect for a City Park jam! Check the map below. 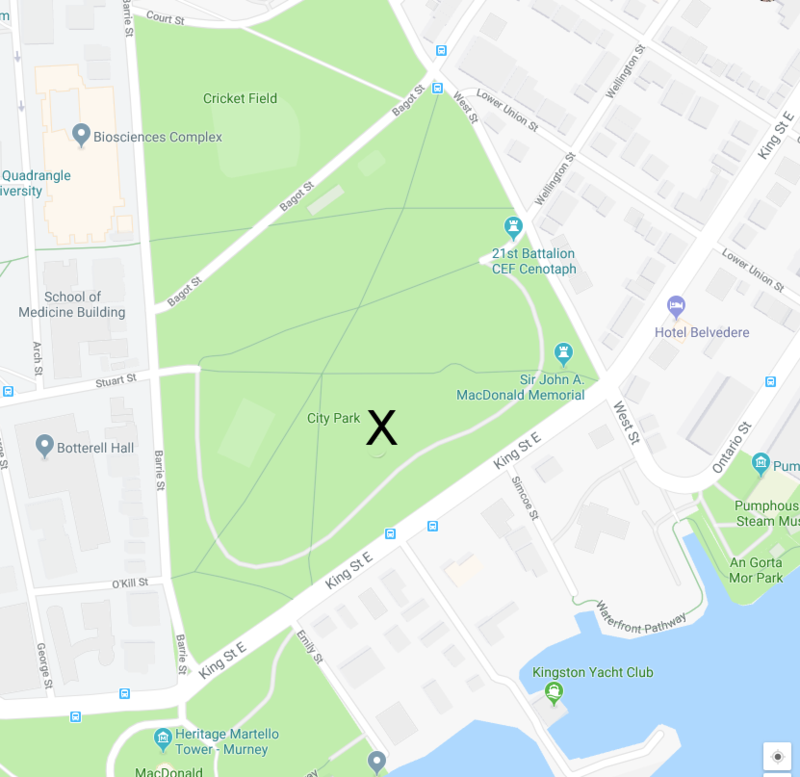 We’ll meet at 6:30pm this Wednesday, July 11, in the south end of City Park, more or less near the X on the map. Parking is free along the road through that part of the park. 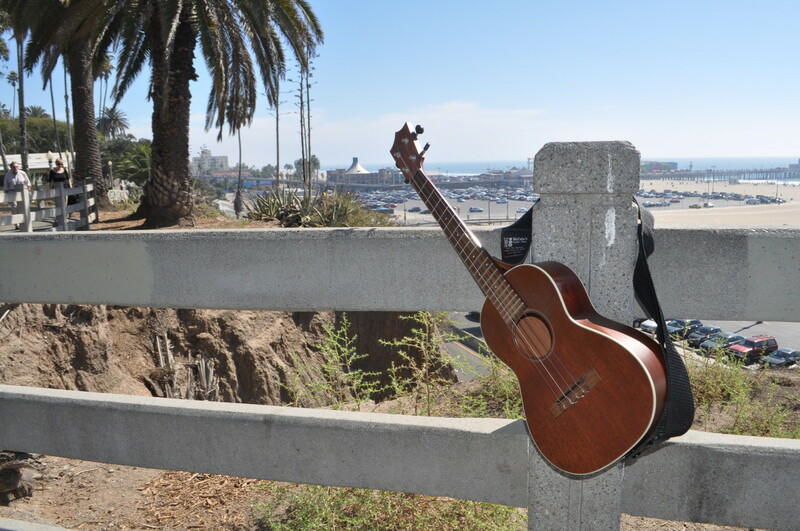 Bring your ukulele, a lawn chair, a beverage, and if you want, copies of the songs you want to share. Clips or clothes pins are recommended to hold your music to your music stand in case of windy conditions. In other news, Ann has offered her front porch for the Play Music on the Porch Day event this August. So mark your calendar for Saturday, August 25 as we join thousands of others around the world! Also, don’t forget about the Bytown Ukulele Group’s ukulele camp weekend, August 17-19. Find details here. If you’re not into camping, you can still join the fun on the Saturday. Remember, we jam at the Collins Bay Legion, 4034 Bath Road, on the 2nd and 4th Wednesdays of the month (excluding holidays). 7pm. If you haven’t yet printed off your own copy of our favorites document, you can download it here. There’s no cost to the jam, but do show your appreciation to our hosts by visiting the bar, or at least dropping a buck or two in the tip jar. Click here for more details. Greetings, ukulele fans of Kingston! The weather is getting warmer, and like me, I’m sure most of you are taking advantage of the weather to practice outside. In a few weeks, we’ll move to our Summer schedule, and hold our jams in City Park. But for now, we’re still jamming at the Collins Bay Legion. One thing to consider for the Summer is the annual Play Music on the Porch Day, this year scheduled for Saturday, August 25. My front porch can accommodate about half a dozen people. (If necessary, more can sit on the front lawn.) Let me know if you’re interested, and I can sign us up for the event. The idea is simple. People from around the world get together and play music. Has spring finally arrived? 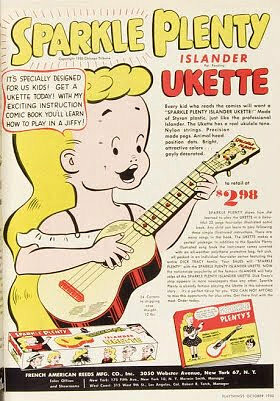 Let’s all hope so, as we get ready for our next ukulele jam, this Wednesday, April 25. As usual, we meet at 7pm in the basement at the Collins Bay Legion. Check out our Dropbox folder for songs that some people will bring. (If you want access to that folder, send me an e-mail.) Or bring copies of the songs you want to do. Or you can just sit back and strum along. 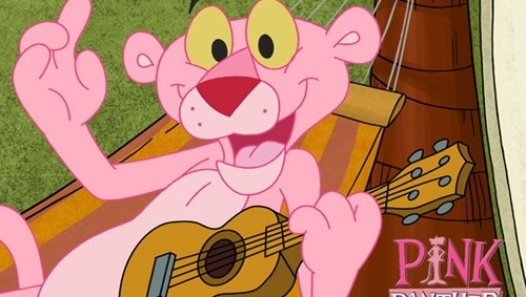 It’s uke jam time again! Come to the jam, this Wednesday, April 11. 7pm at the Collins Bay Legion. Bring your favorite songs to share with the group. Or just sit back and strum along. We’ll start the jam with a bit of a workshop, to practice one particular song I’ve chosen. If you want to hear the song before-hand, it’s “Out Of Nowhere”, played by Jeff Healey. You can find it at Spotify. (Click here, and listen to track 4.) 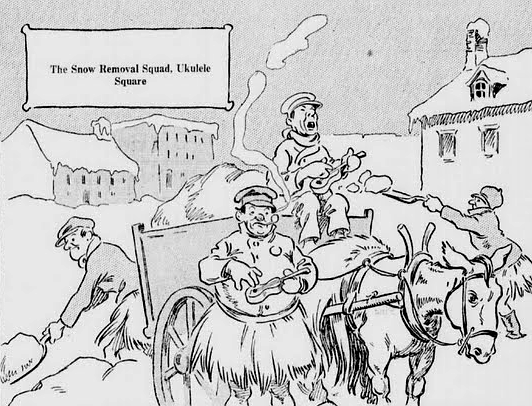 It’s a great old jazz standard with some interesting chords. 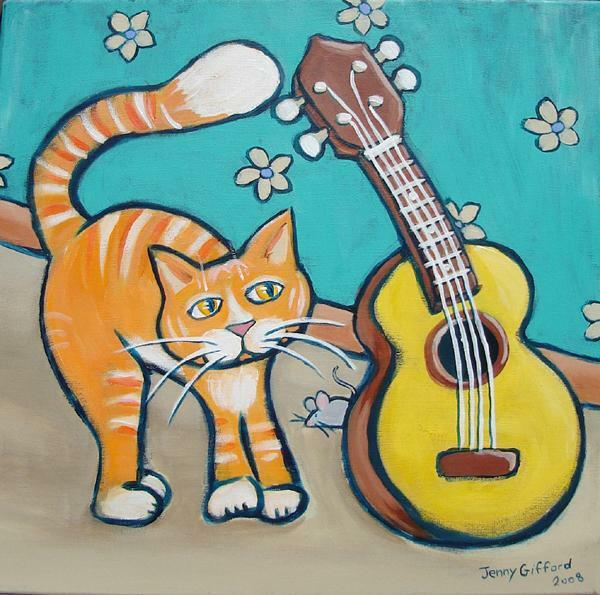 Our next ukulele jam is on Wednesday, March 14. Some of us have already added a few songs in the “2018-03-14” sub-folder in the Kingston Ukulele Society folder on Dropbox. If you want to give others a chance to practice your songs, please do the same well in advance of the jam. But now, I’d like to remind everyone of events happening in Ontario this Summer. First up is UkeFest 2018, in Midland, May 18-20. Click here for more information. I attended the uke festival in Midland three years ago. It’s definitely an experience to jam with 150 other ukulele fanatics. 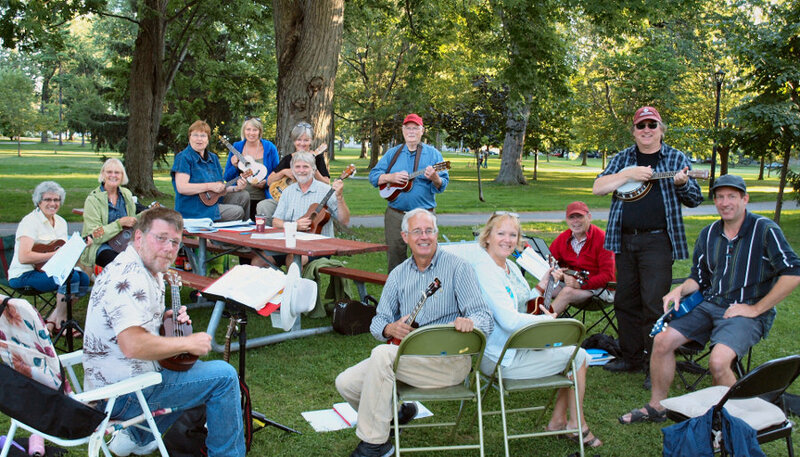 Next is the BUG Camping Weekend, run by the Bytown Ukulele Group. This will be held at the Riverside Cedar Campground in Morrisburg, August 17-19. Click here for more information. Finally, there’s the Royal City Uke Fest, September 19 in Guelph. Click here for more information. 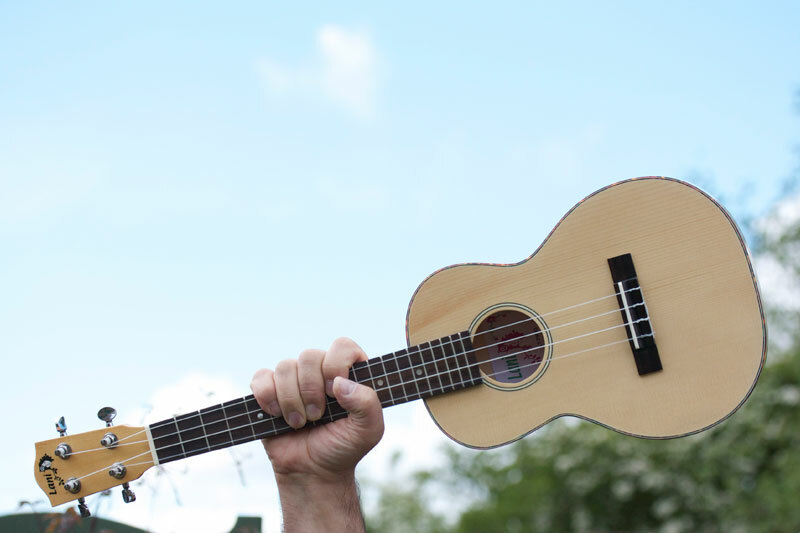 As I mentioned before, I’m rejigging the Kingston Ukes web site. For technical reasons, I’m letting the kingstonukes.com domain name lapse. In about two and a half months, it won’t work at all. 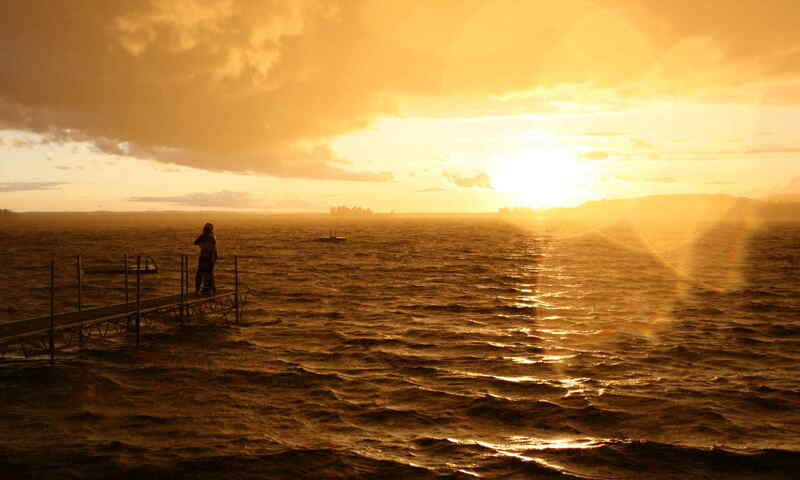 In the meantime, I’m slowly merging the old content with my regular web site, boldts.net. Also remember, starting in March, we move to a new schedule. We will jam on the 2nd and 4th Wednesdays of the month. Same time, same place, just different days of the month. So the next jam after this will be on March 14. Remember, we jam at the Collins Bay Legion, 4034 Bath Road, on the 1st and 3rd Wednesdays of the month (excluding holidays). 7pm. If you haven’t yet printed off your own copy of our favorites document, you can download it here. There’s no cost to the jam, but do show your appreciation to our hosts by visiting the bar, or at least dropping a buck or two in the tip jar. Click here for more details.